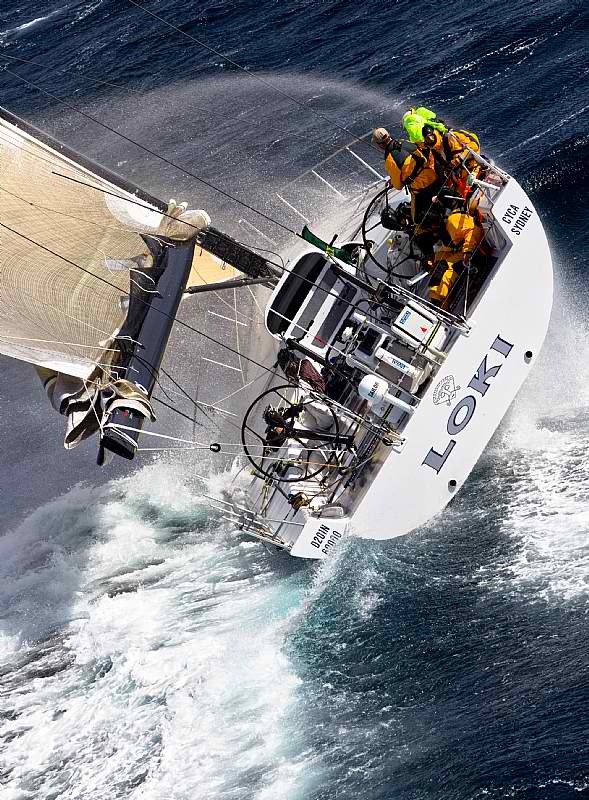 The attrition continues in the Rolex Sydney Hobart Yacht Race – throughout the night and into this morning, an additional six yachts retired with a grocery list of problems: damaged steering, torn mainsails, broken booms and engine issues. This time, the retirements were among the small to mid-sized boats, bringing to 16 the total number to have retired with 71 boats still battling hard in the race. Last night the gale force southerly winds off the New South Wales south coast continued to pound those yet to pass Green Cape. After the Cape is the most notorious stretch of the 628 nautical mile course, the renowned Bass Strait, where rough and confused seas are the norm. At 20:30 AEDT, Richard Buston’s R/P 52 Scarlet Runner bowed out of the race after sustaining sail damage. 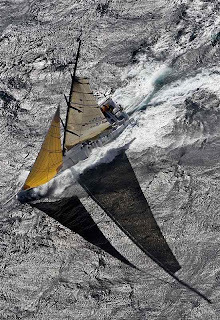 Shortly after, the TP52 Calm also retired, for reasons unknown. Sam Haynes’ Rogers 46, Pirelli Celestial, racing in his first Rolex Sydney Hobart, was forced to seek safe harbor due to mainsail damage. Shortly after midnight, steering problems forced Phillip King’s 13.5 meter Salona II out of the race. One of two U.S. entries in this year’s 66th race edition, the C&C 41 Nemesis was also reported to have withdrawn from the race, again for unknown reasons. Nemesis’ crew sailed throughout Mexico and across the Pacific to bring the yacht here for this years’ race. Finally, this morning’s most recent withdrawal was one of note, Andrew Saies’ Two True, overall winner of last year’s Rolex Sydney Hobart Race. The Beneteau First 40 was forced out due to engine issues, which prevented the crew from charging the batteries. With any luck, and with a forecasted improvement in the weather conditions by the end of today, the remaining yachts will receive some well-deserved relief and an easier path to the finish line. The race is now set to enter its next phase, downwind flying and the contest for the coveted Tattersall’s Cup, which is given to the overall handicap winner of the Rolex Sydney Hobart and not the first yacht across the finish line. Locked in a battle for line honors, four-time Rolex Sydney Hobart winner and record holder, Wild Oats XI is in the lead with Investec Loyal hard on her stern. Peter Millard’s Lahana is in third position. The maxi yachts are slugging it out in what appears to be a close race for the first to cross the finish line up the Derwent River in Hobart. Currently leading the race, on corrected time is Geoff Boettcher’s Reichel/Pugh 51, Secret Men’s Business 3.5. Boettcher is a Sydney Hobart race veteran, sailing in his 22nd race. 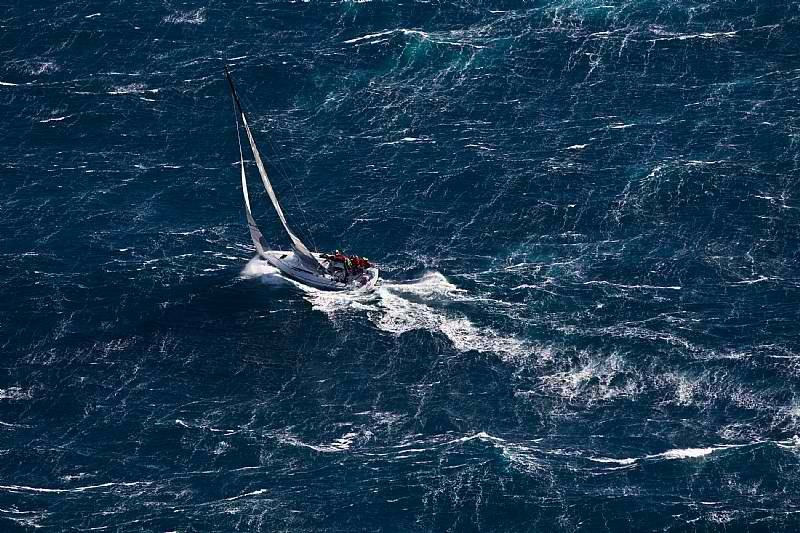 As of this update, the Rolex Sydney Hobart fleet is still experiencing southwesterly weather. However, the forecast for today is for winds to swing clockwise and turn to a northeasterly direction this afternoon, building to 20 knots during the day and up to 30 knots later this evening. These will be ideal conditions to bring the remainder of the fleet quickly down the Tasmanian coast. The wind change means that computer-predicted time for the first boat to arrive, which at press time was 05:20 tomorrow, may actually be earlier. Race Tracker: Race enthusiasts can go to http://rolexsydneyhobart.com/yacht_tracker.asp for a real time tracker of yachts and their position.